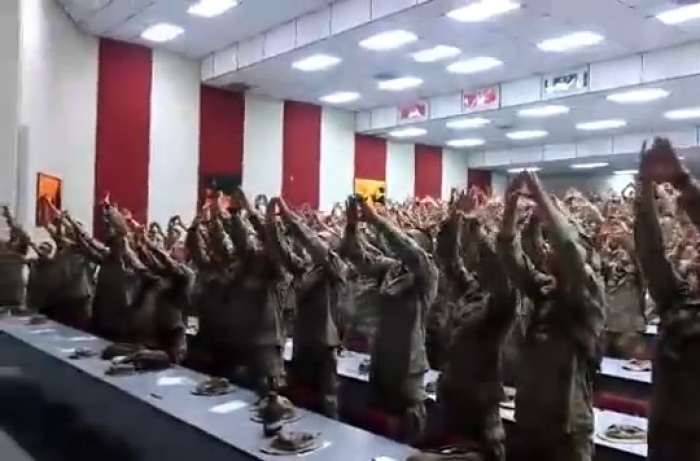 Listen as these marines sing together and worship the Lord. Not only are they having a meeting together they are worshipping the Lord and singing His praises through it all. It's not so often you see this from the military, especially with all the rules and regulations. The marines sing an awesome version of "Days of Elijah" that you simply can't miss! God Bless these marines for their service and may God watch over them in all that they do.